Quicke’s have been farming their little corner of Devon for over 500 years, and making traditional clothbound cheddar for over 40 years, using milk from their herd of specially-bred grass-fed cows. With over a century’s experience between them, their team of expert cheesemakers understand that what they do is an art. Using all their senses, they individually craft every cheese by hand, wrapping them in muslin so they can breathe as they mature, slowly in the cool quiet of the stores at Home Farm, where they’re turned every day to maintain an even texture as they mature for up to two years. 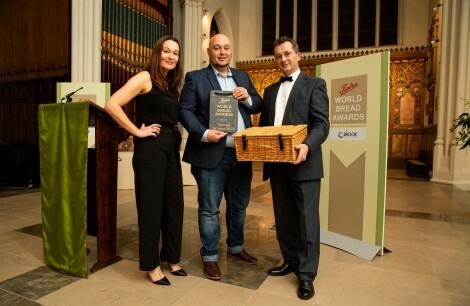 Quicke’s Clothbound Cheddar is world-famous, and this year they are supplying their Mature Clothbound Cheddar to the Tiptree World Bread Awards with Brook Food. A rich and buttery cheddar that offers outstanding depth of flavour, from brothy to grassy to caramel notes.